This summer school (which is the latest in the 'Cortina' series of summer schools and Advanced Study Institutes on astrodynamics) aims to bring together young astronomers from a diverse range of fields relevant to the study of extra-solar planetary systems: their observational detection and characterisation and the theoretical description of their origin, formation and evolution. The core programme will consist of lectures by internationally leading experts, supplemented by workshops and informal discussion sessions. The programme aims to enable the exchange of new ideas across these fields, to improve our understanding of our own solar system and its place in the diverse range of planetary systems discovered so far. 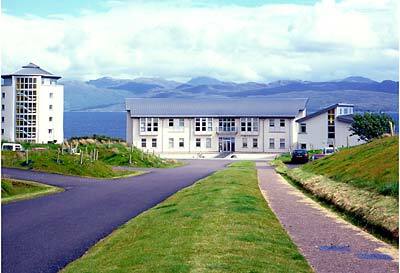 Sabhal Mor Ostaig, situated on the Island of Skye off the northwest coast of Scotland, provides an ideal venue for the summer school: Scotland's only Gaelic College, set amidst breathtaking mountain and coastal scenery, it is a quiet and secluded location yet with state-of-the-art conference facilities and excellent accommodation. Application to participate in the summer school can be made via our registration page.